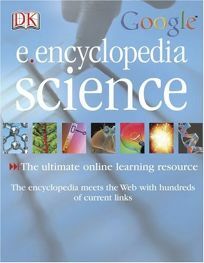 DK and Google team up to create a second reference guide utilizing the Internet with e.encyclopedia science. Created with the same format as the initial e.encyclopedia, the book invites readers to visit the book's Web site; when readers enter key words interspersed throughout the text, this Web site acts as a gateway to additional Web sites with further relevant information, pictures and video clips. As with the first title, the publisher consistently monitors these selected links to ensure their functionality and appropriateness of content. The scientific focus of this edition delves into such broad categories as ""Forces and Energy"" and ""Animals"" which are then subdivided into detailed sections such as ""Acoustics,"" ""Cameras,"" ""Crustaceans"" and ""Echinoderms."" .